Autonomous vehicles (AVs) are coming. The question is no longer if, but rather where we are along the adoption curve across various use cases and geographies. Despite the differing opinions on what the world will look like in a fully L4 or L5 self-driving world, there is one thing that everyone can agree on: for autonomous driving to work, tomorrow’s self-driving cars need to be as safe, if not safer, than today’s human-driven ones. Jan Becker and Dejan Pangercic have been working on autonomous systems for 20+ years and have experienced the pain point of developing complex software in the automotive industry first hand. Together, they started Apex.AI, a company developing safety-certified, automotive grade software. They are building a software platform that never fails in the complex, real-world environment of AVs. Ever. Apex.AI is building the critical missing piece that will allow the AV industry to move from R&D to mass commercialization. We are proud to share that we are partnering with Jan, Dejan and the Apex.AI team by leading their Series A round. To give you a sense of how complex the modern automobile is - a single car has over 30,000 parts, and each model combines multiple years and billions of dollars of expertise in design, R&D, engineering, and manufacturing to produce. Today’s cars are one of the most complex, mass-produced products man has ever created. Despite all of that vehicle complexity, we trust our cars to be safe and reliable; not just five 9’s reliable (the standard in enterprise software), we expect 100% all day, every day. Tomorrow’s self-driving cars will be inherently even more complex. For an autonomous vehicle, the car is now responsible for both the deterministic vehicle’s controls, and (what used to be the human’s) non-deterministic decision-making process. How will the automotive ecosystem change and adapt to not only the increase in sensor data from cameras, lidar, and radar, but the massive amount of AI algorithms and software (perception, planning, localization, routing, control) that need to be implemented in order to produce a 100% safe and secure self-driving car? When we talked to the stakeholders in the ecosystem, there was one consistent theme that everyone universally agreed upon: as self-driving technology matures and moves from R&D to production, manufacturers will need to focus on integrating and safety certifying the rapidly changing AI software code that is now a critical part of every self-driving vehicle. Today, there is no standard framework used for production-level software development across the automotive ecosystem. That all changes with the Apex.AI platform. Jan, Dejan and the team at Apex.AI know the challenges of building critically reliable software for self-driving vehicles. Many of them pioneered the work of ROS, the well-known robotic operating system created by Willow Garage a decade ago. They were one of the first to develop robots using ROS, and today ROS is used by approximately 80% of the companies developing automotive self-driving software. Apex.OS takes the ROS software framework - and its years of open source community development - and has built the critical pieces around it to ensure that self-driving software applications and algorithms are safety-certified for production vehicles. In the same way that you expect the car to turn right when you turn your wheel clockwise, with self-driving software built on Apex.OS, your car’s control algorithm will do the same action 100% of the time. In addition, Apex.Autonomy provides the building blocks to supercharge your self-driving development, whether that be integrating HD maps into your planning algorithm, or using a new lidar sensor for your perception stack. In the same way that the iOS and Android SDK provided a secure, standardized framework for mobile developers to create software applications (and in the process unlocked billions of dollars of value in the mobile ecosystem), we believe that Apex.AI is building the analogous platform for self-driving. Apex.AI builds on our growing AV portfolio at Canaan. Aeva, whose Series A we led last year, is building the next generation sensor suite and dataset for self-driving. While Apex.AI provides the software layer to allows automotives to build safety-certified self-driving applications, Aeva provides the unique sensor data that feeds these algorithms. We believe that AVs are truly one of the big platform shifts of our generation. As the entire automotive industry matures towards self-driving vehicles, there is a unique window of opportunity for startups to capture a lot of the new value that is created, and at Canaan, we will continue to fund companies at this intersection of expert teams building differentiated hardware and software platforms. We are thrilled to welcome Jan, Dejan and the team at Apex.AI to Canaan. We are behind them 100% in their mission of putting safety and security first at the forefront of AV development. 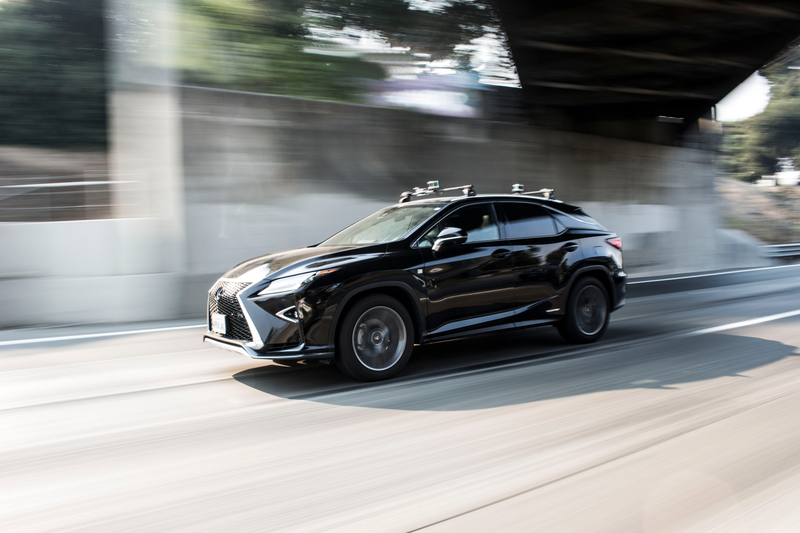 As the industry races towards aggressive timelines to be the first to deploy L4 and L5 vehicles on the road, we are excited to back companies like Apex.AI that are focused on making sure that the next generation of AVs are truly the safest cars you will never drive.